Use an SA-34 connector head for objects that require the swivel function. 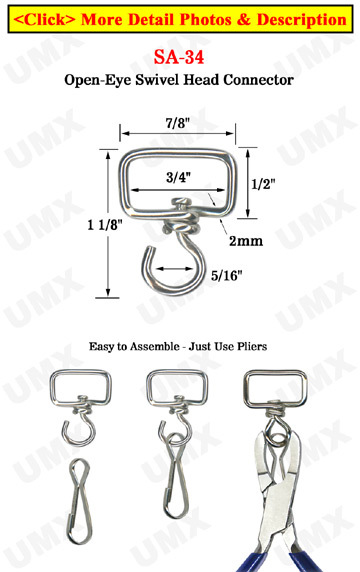 Attach a square-shaped swivel head connector to badge straps or badge clips, hooks, or a universal string. Use a plier for assembly.